The cost for Pilates-mat work qualified Instructors to gain insurance and training to bring Large Pilates apparatus as an option for clients has more than halved.3 years ago the cost of purchasing a new commercial quality 'Reformer' and to train to be insured to use it was over £3,000.Today you can be the owner of a Reformer and complete entry training to use it and other kit for as little as £1550.00. As a result of the drop in price of training and equipping a small studio, the economic model has also changed greatly. Equipment trained instructors with access to kit can expect to open new markets and differentiate themselves compared to ‘mat work only’ trained instructors, and in the process, increase their hourly revenue by as much as 100% (compared to teaching mat work classes for other organisations). The typical Instructor currently teaching 15 hours of mat classes per week in a club, and purchasing a small studio located in their spare room comprising of a Reformer, Half Cadillac, Chair and small barrels with studio induction education (£4,000.00 to get up and going), can expect to pay back their investment teaching the same number of sessions per week in just 3 months! This compares to 3 years ago when the cost of the kit and training would have been closer to £12,000, with a delay of over a year to receive insurance following training. As a result there is no better time to plan your transition from a Pilates mat work Instructor to a Studio Instructor and to consider the change for the beginning of 2016. January to March or September & October openings of studios prove financially more success than studios opening in other months of the year. Customers will pay a premium price for attention.A private, semi-Private, Trio or Quad will deliver return on your investment in equipment, but more than 4 people and the customer regards your session as a class and therefore will pay much less. Small classes of 5- 7 only work financially with mat work and accessories.It is hard to return your investment in equipment with these numbers. Group equipment classes with 8 -12 people can be very profitable but need more than 8 hours a day of equipment use and great marketing. Subsequently they are generally run by a team and not by an individual. This studio layout looks nice but is neither focused on 1 - 4 nor suitable for group exercises of 8 - 12.It would therefore be hard to get a return on investment. 2. 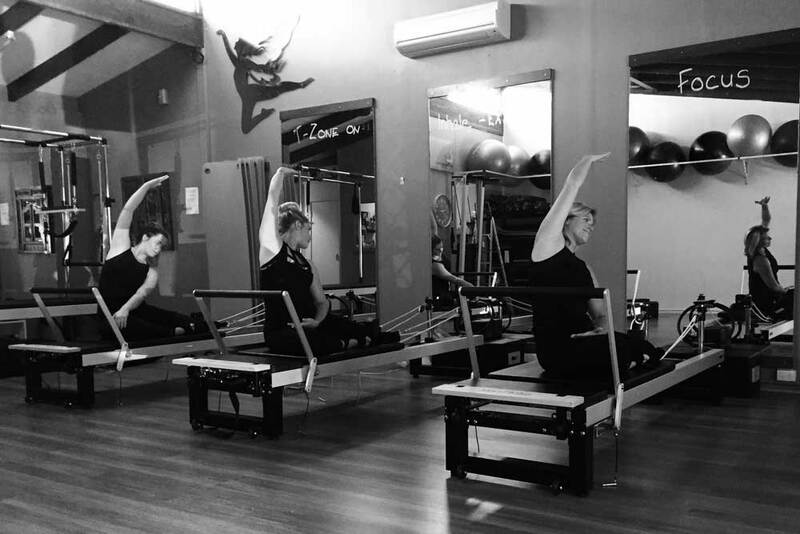 When choosing a Reformer maximise its versatility! Customers differ in size and needs, as do the rooms. 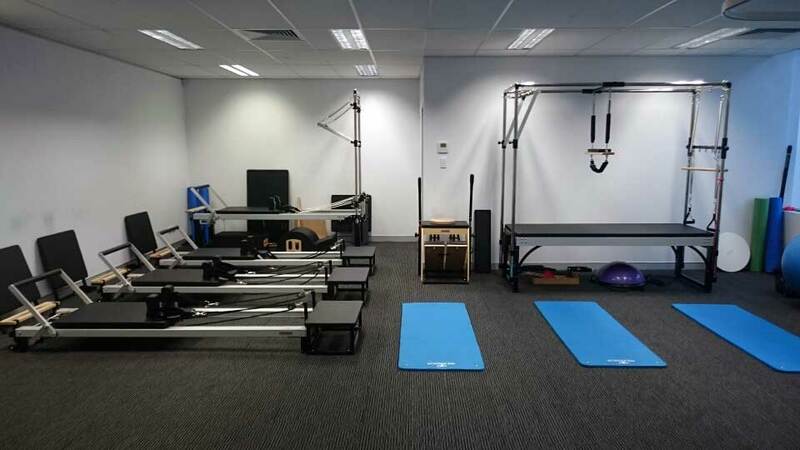 Investing in a reformer will last you one or two decades.In this time you may move premises several times with different ceiling heights, or even change your client demography moving from younger to older clients. 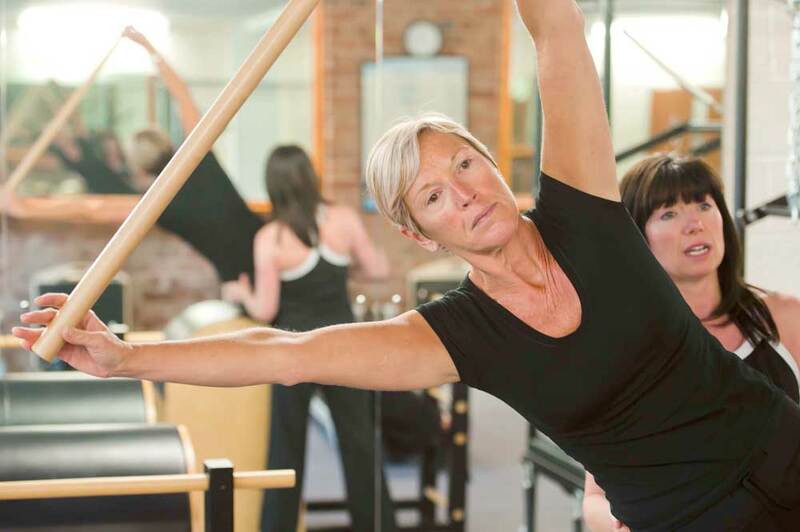 Tip:Try to purchase a Pilates Reformer that will 'Change with you and your clients'. For example the Align-Pilates A2R Reformer has interchangeable legs so can be floor height for a low ceilinged room, or rehab height for older clients or those with Neurological problems struggling to get low to the ground. It also has the longest carriage travel on the market, catering for those of 6ft 6" or taller, whilst also catering for a 5ft client. Align-Pilates A2R Reformer with Studio Height interchangeable legs shown with a stainless steel Align-Pilates Half Cadillac. If Pilates is just one of your skills and you have an existing customer base who enjoy your other skills such as Functional training, Personal Fitness training, Barre or small group mat work, it will probably be poor decision-making to abandon these strings to your bow unnecessarily.In these cases it may be sensible to plan for a multi-functional space. Tip:Instead of purchasing the Align-Pilates A2R Reformer with Half Cadillac which, whilst versatile, is not readily portable, consider putting four space saving Align-Pilates Spring walls with adjustable Barre's onto the walls of your studio and combining these with the Align-Pilates C1 Reformer. The C1 Reformer can be stacked or stored on its end, enabling you to leave the floor space clear when Pilates is not the first choice of use. The Space saving Align-Pilates C1 reformer stacks and stands on its end for neat storage and combines with the Align-Pilates spring Wall unit to combine roll-down bar and leg and arm springs. 4. Instructors are 'Brand' conscious whereas customers focus on 'feel', ease of use and results! Pilates Instructors will often buy equipment for themselves rather than for their customers which generally does not make good business sense. Surveys have repeatedly shown that customers could not care less whether their kit is branded 'Stott Pilates', 'Align-Pilates', 'Balanced-Body' or 'Peak Pilates' but simply focus on how it 'feels' to use, how easy it is to use, and on whether it delivers the promised results. The Align-Pilates Combo Chair has similar looks to the Stott-Pilates Split Pedal Chair with arms, similar function, is more stable in use and costs £750.00 including tax, approximately half of the price of the 'Stott Pilates equivalent. Tip:Brands differ dramatically in initial price, ease of keeping the equipment serviced, cost of parts and function. Too many instructors waste money by buying the brand that they know rather than shopping around and spending time to compare and contrast machines from brands that they are less familiar with. 5. Quality and versatility of teaching, not quantity of exercises you know, is key to your business. Instructors often assess a studio training curriculum on the number of exercises it teaches rather than on the quality of the education that it delivers. In the UK the majority of instructors training on studio kit are experienced mat work trained Pilates instructors. When they move to working in the Studio they will typically teach to their clients a very small proportion of the exercises that they were taught on their training course. On the other hand they will often not have been taught how to work in a small studio with multiple teachers, where studio craft and flexibility in choice of equipment with a client is essential. The Align-Pilates A2 Cadillac is designed for the full repertoire of Pilates exercises.How many of your clients would be doing this reverse press up? Tip:When choosing your training don't focus on 'quantity' of exercises, instead assess the relevance of the training when working in a small boutique studio and whether the course will prepare you for the reality of decision making when your first choice of equipment may not be available to use. Chris Onslow has been in the Pilates industry since 1999. He has sold or distributed Balanced Body, Stott-Pilates and Align-Pilates equipment in the UK and Europe and has owned Pilates Studios ranging from 600 square feet to 6000 square feet in size, with studios in Oxford, London and Witney.Chris brought Stott Pilates education to the UK in 2006 and now runs Mbodies Training Academy. He is a consultant for several Pilates studio operators and owners seeking to use his experience in the industry to 'launch', 'develop', and 'refocus' their Pilates focussed companies.